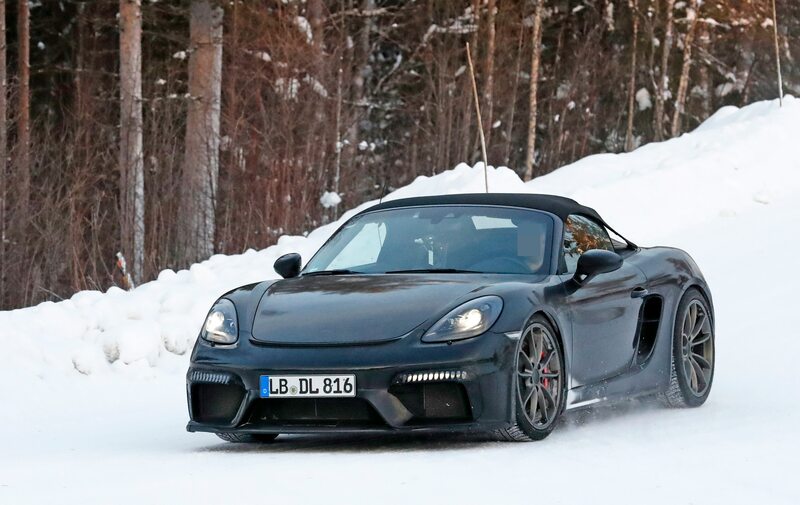 Earlier this month, Porsche announced the 718 Cayman GT4 Clubsport. 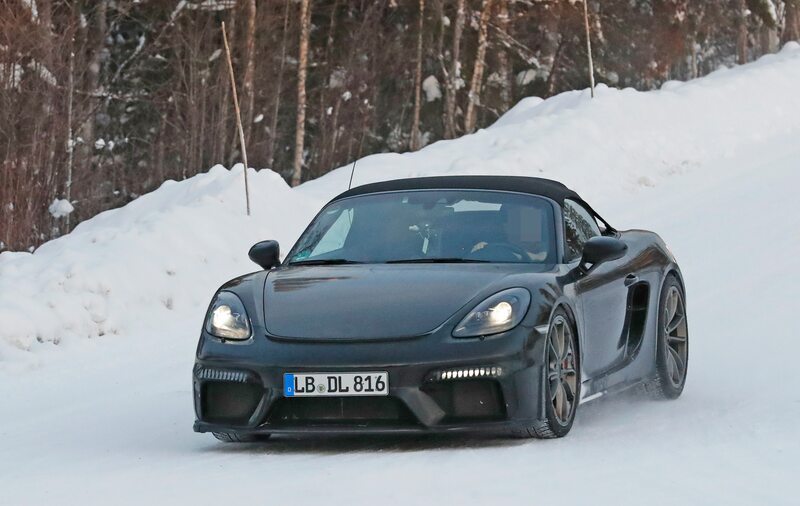 As the racing version of the Cayman, it comes in two versions: one for track-day enthusiasts and one for more serious racers. 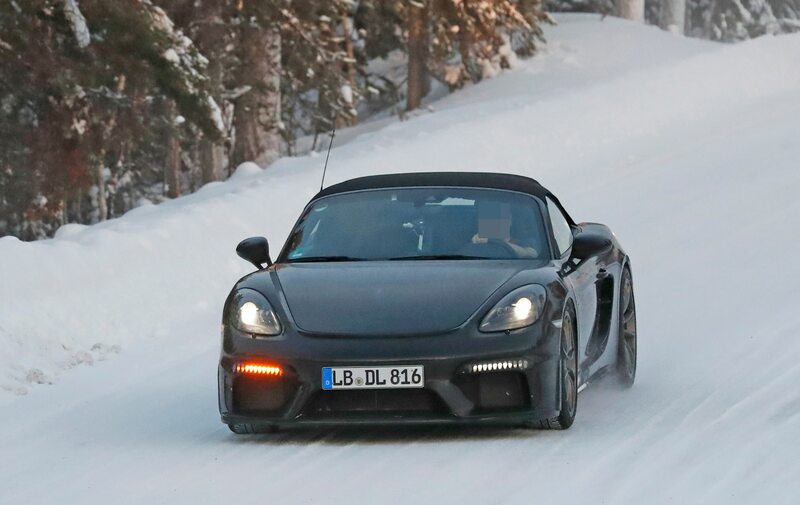 We expect Porsche to reveal a street-legal Cayman GT4 seen, as well as a Boxster Spyder that uses the same powertrain. 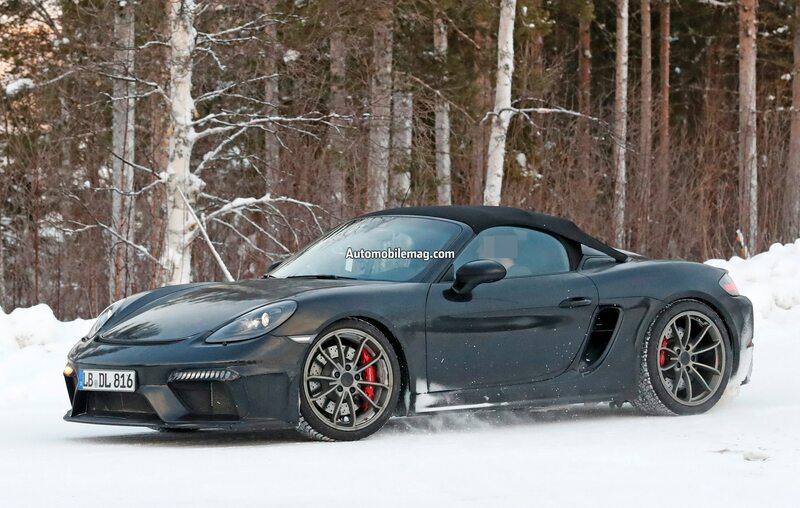 But will they use the Clubsport’s 3.8-liter flat-six? 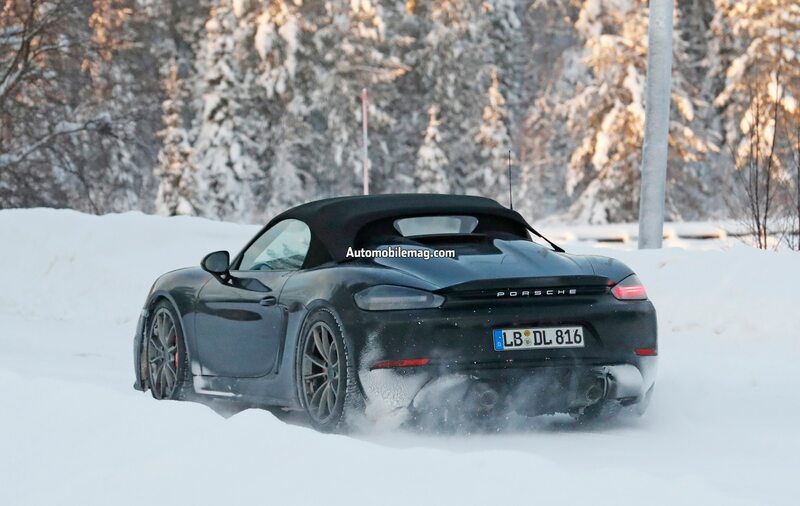 Our spy photographer caught this Boxster Spyder prototype during winter testing in Europe. 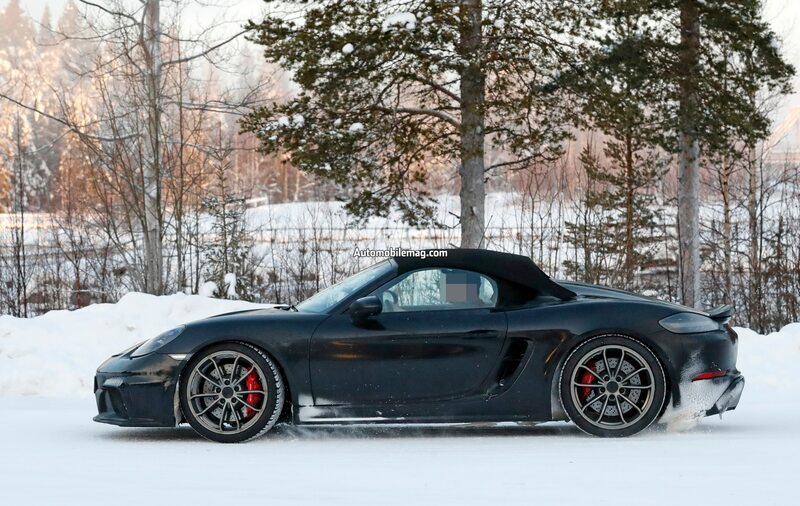 It’s essentially undisguised, showing off its folding roof and double-bubble tonneau. 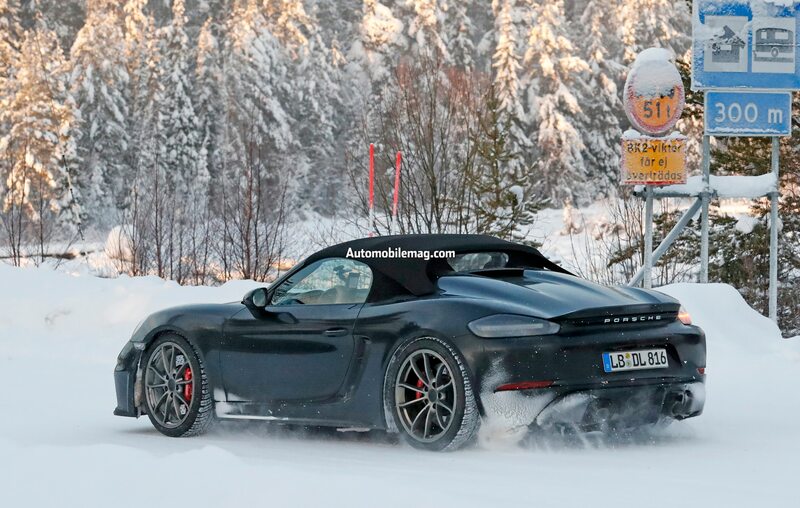 Opinions will probably be split over whether it’s better-looking than its predecessor, the 2016 Boxster Spyder, but even if you’re not a fan of the styling, it may still win you over with its powertrain. 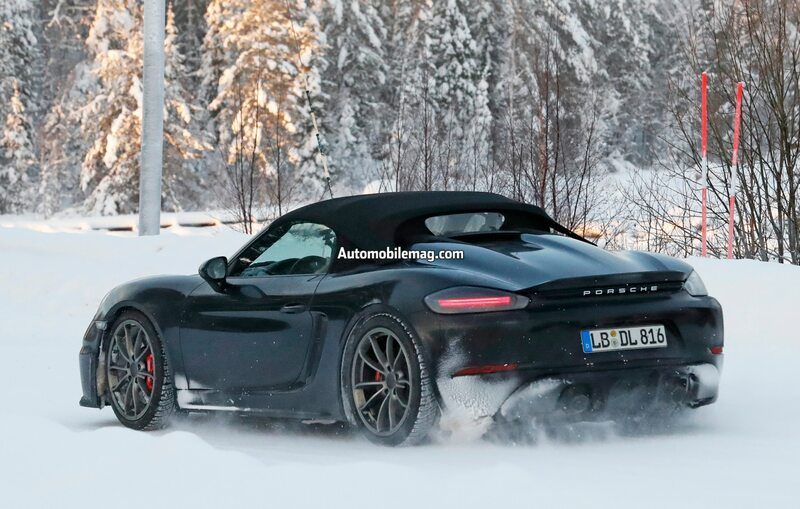 That’s because our we’ve once again heard that the 718 Boxster Spyder (and Cayman GT4) won’t get the old 3.8-liter six, as Porsche plans instead to give both cars the 4.0-liter flat-six found in the 911 GT3. 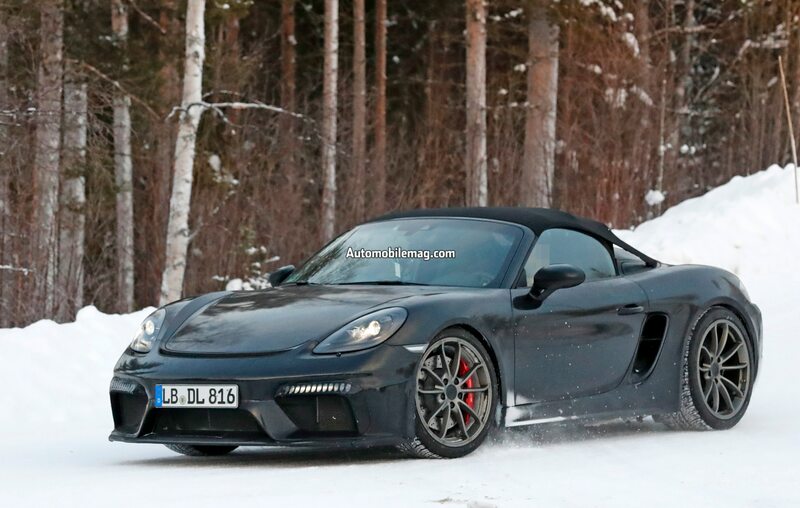 If that bears out, the question remains how much power will the Boxster Spyder will make. 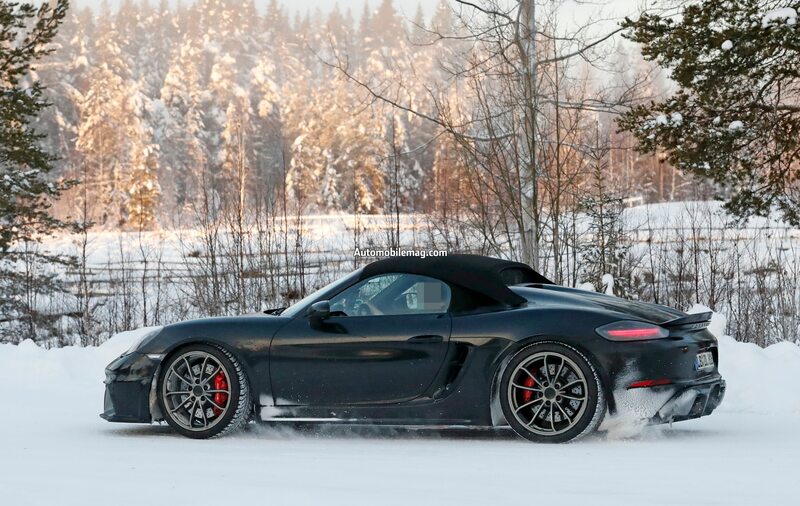 In the GT3, that engine makes 500 horsepower and 339 lb-ft of torque, output figures that would be absolutely staggering in the smaller, lighter Spyder. 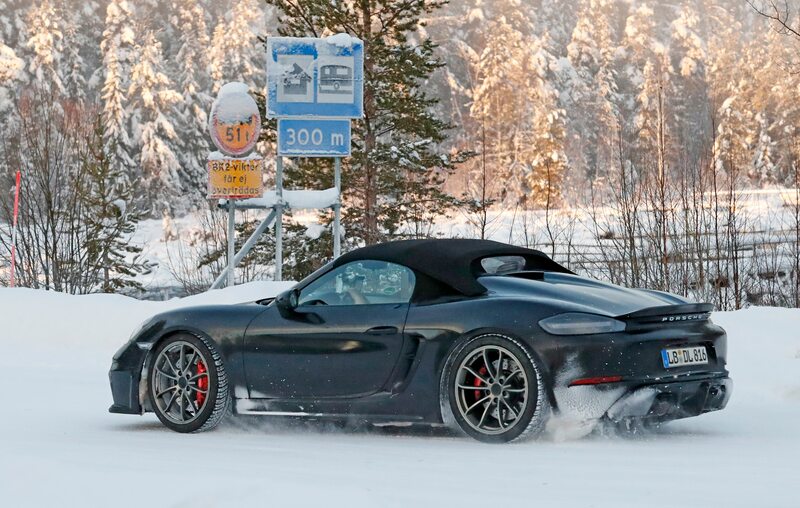 But Porsche may plan to detune the engine to something like 425 horses in this application—which would still be pretty, pretty rad. 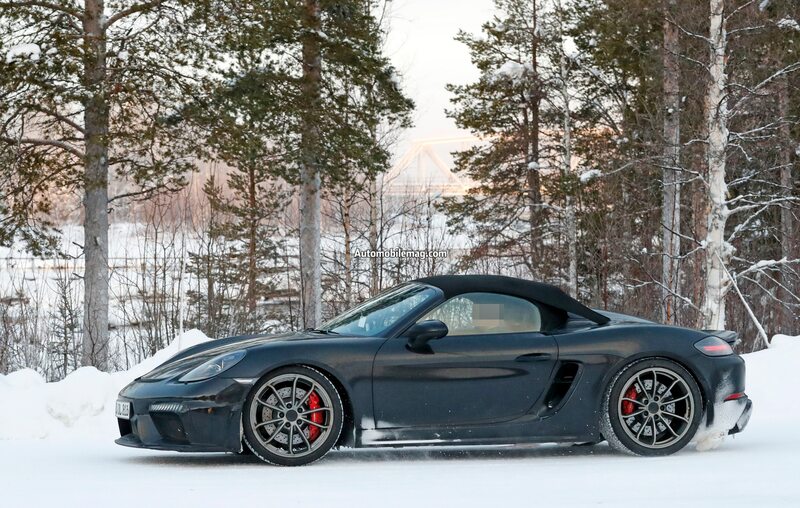 After all, the last Boxster S our colleagues at Motor Trend tested hit 60 mph in 4.3 seconds, and that car had “just” 350 horses. 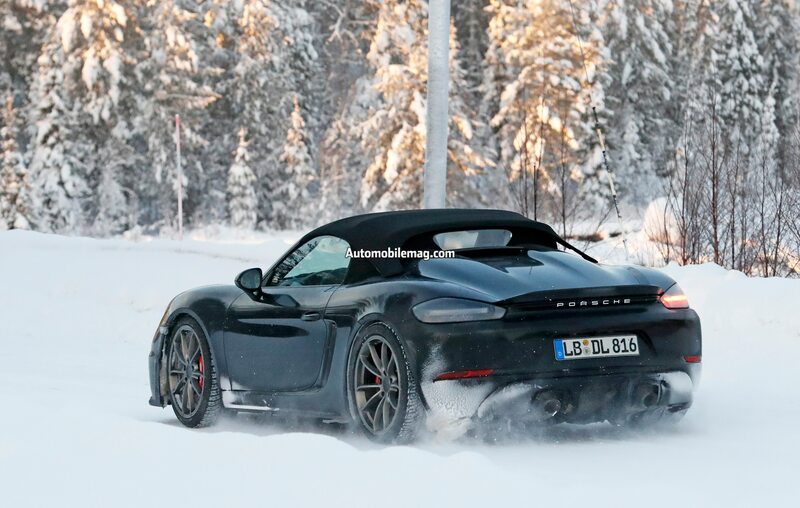 So when will we find out for sure? 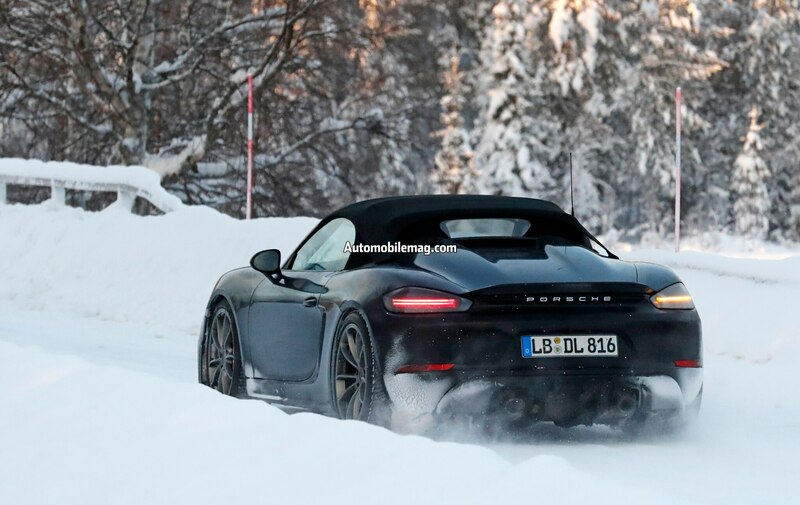 It could be as soon as March and the annual Geneva motor show, but whenever it happens, we’re looking forward to it.